Large earthquakes can cause major damage to structures, putting people’s lives in jeopardy. Because of their vital role in communities, particularly in the event of a disaster, medical facilities in seismic activity–prone areas must meet rigorous design and construction standards. Terracon is part of a team of engineers creating new ways to protect structures in the event of catastrophic earthquakes. 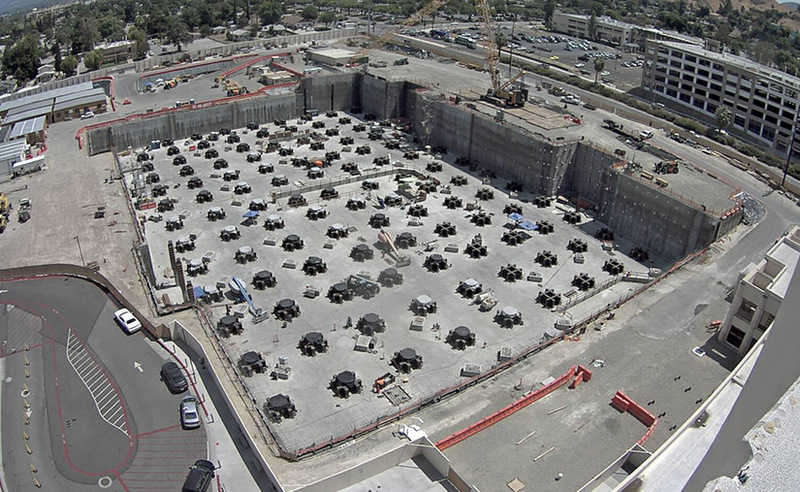 Working collaboratively, we are developing true three-dimensional earthquake protection, using a base isolated foundation system for Loma Linda University Medical Center (LLUMC)’s new hospital towers, which would make LLUMC the world’s first hospital to use this innovative technology. LLUMC is a major medical facility serving adults and children in Southern California. The existing main hospital tower, built in 1967, no longer meets the state’s Office of Statewide Health Planning and Development (OSHPD) requirements for seismic performance. To comply with OSHPD’s seismic compliance program requirements, LLUMC is investing $1.2 billion to build a new 16-story adult hospital and expanded nine-story Children’s Hospital. The new hospital complex will open its doors in 2020. 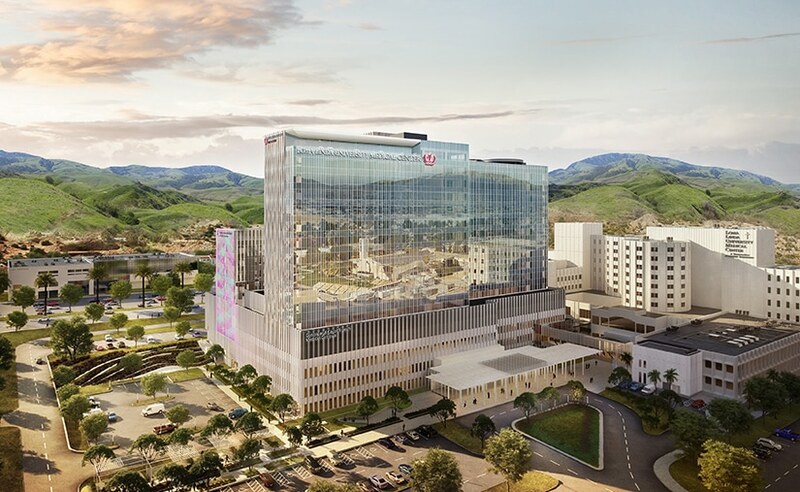 “The design promises to set a new standard for health care and hospital architecture,” said Richard Dallam, partner of the lead design architecture firm, NBBJ. The medical complex is located near two major North American faults – the San Jacinto Fault (less than 1 mile away) and the San Andreas Fault — which merge approximately 15 miles northwest of the site. The hospital site consists of more than 30 feet of very loose sandy soil layers. The potential for a catastrophic earthquake with design peak ground acceleration (PGA) of 0.91g (by comparison, the 2010 earthquake in Haiti had a PGA of 0.5g) combined with the loose soil conditions created significant challenges for accurately estimating the seismically induced settlement and selecting the appropriate foundation type to resist seismic forces. As the geotechnical engineer of record, Terracon needed to provide the recommendations to address these issues and meet the structural design requirements. To protect patients and staff from injury while keeping the hospital operational following a potentially disastrous earthquake, a proposed innovative earthquake protection base isolation foundation system may be implemented. The recommended system consists of 126 sliding bearings and dampers for lateral isolation, with more than 500 vertical shock absorbers. Orbital-shaped pedestals – or “isolators” – would allow the building to move independently of the foundation in the event of an earthquake. The base isolations are to be built on a concrete mat which is about 30 feet below ground surface. To stabilize the shoring walls, 650 tie-backs were used. The space between building and shoring wall would allow the building itself to move a maximum of 42 inches horizontally if the design earthquake occurs. Designing the hospital building foundations was not the only challenge the team overcame to ensure high seismic safety performance. “When we encountered obstacles, we designed around them,” said Brandon Rose, group manager of materials in Terracon’s Colton, Calif. office. For example, when underground utility tunnels were discovered on the site, the team reinforced existing tunnels from the inside using cell-crete, a light-weight concrete foam, to reduce pressures rather than demolishing the tunnels, preserving the schedule and budget. With the base isolators recently installed, construction of the towers will continue until the end of 2020. Terracon is providing materials testing and threshold inspections for the project, which includes a complete seismic retrofit of the steam plant for the new towers. When completed, the new hospital complex will be the second-largest medical center in California. The new buildings are designed to resist an earthquake with a potential magnitude of 7.9 and will not only be the tallest in San Bernardino County, but will be among the safest in the state, according to Medical Construction and Design. “This is a very challenging project and required unique solutions,” said Fred Yi, Ph.D., P.E., G.E., Terracon’s chief geotechnical engineer on the project. “We saved the client significant costs and maintained the construction schedule by providing comprehensive design recommendations on everything from seismic settlement to excavation depths which improve bearing capacity.” These suggestions were reviewed and approved by the OSHPD for incorporation into the final design. The close cooperation between Terracon geotechnical engineers and structural engineers makes the design of the new foundation system possible. Fred Yi, Ph.D., P.E., G.E., is a senior geotechnical engineer in the Terracon Colton office. He has 34 years of experience in geotechnical engineering and geotechnical earthquake engineering, working with various clients including Caltrans, counties and cities, universities and medical centers, school districts, and water companies in southern California.